My wife and I had an amazing experience working with George to purchase our first home in Eastside Costa Mesa. We found him to be very competent, professional and a resourceful person with a genuinely good heart. George knew the market extremely well and his strategic advice in terms of the bidding process was invaluable. George helped us to quickly put in an aggressive first offer, negotiated a great deal that was below the asking price and below the appraised value of the property. I am certain we would not have been able to purchase our home without his advice and guidance. George was patient in educating us throughout the entire home buying process and addressed all of our concerns in great detail. George was very responsive with emails, phone calls, and texts even during late evenings and weekends. He is diligent, professional, honest, trustworthy and articulate. I would highly recommend George to anyone looking for a great real estate agent and am looking forward to working with him in the years to come! George and his sister Regan are the reason we were able to buy our dream home. After several failed attempts and offers with a previous real estate agent in the area we decided to call Hanold Properties. So glad we did! George and Regan know the market and area of Newport/Costa Mesa so well they both grew up here. They gave us a lot of insight and truly are the reason we got our home. They quickly understood what we were looking for and were very patient with us during the process. No Real Estate Broker in this world could have done such complex case that you and your team went through. My family and I recognize and profoundly appreciate your effort and hard work. Many thanks and credits to Regan for her innovative solutions and diligent follow ups to our problems. Anybody else in her situation would have probably given up, especially every time bank negotiators kept on changing. With her solution and world class negotiations skills, she made sure that deal was on the right track. Regan's focus to complete the mission is unheard of in the field of "business negotiation." Many thanks to George Junior for maintaining a positive attitude, while holding all of us together and not giving up. With tireless coordination between all parties and helping Regan, he made sure that deal was not failing. George’s persistence on the overall mission was a major contributing factor to our victory...….and very special thanks to you as a Fearless Warrior and the Grand Master of the Real Estate while demonstrating world class and flawless and value leadership. All Executive Leadership Business schools across the nation should consider your leadership approach as a case study and the team that did not give up while all odds were against us. It is evident to me that you applied the military warrior's strategy on the notion of "failure is not an option." We used Regan Beegle with Hanold Properties when we purchased our home in 2012. She took us to see many properties until we found the right one. She called us one day and told us she found us the home of our dreams and to immediately submit an offer. We followed her advice and soon there were 20 offers on the property. Somehow, Regan was able to negotiate with the listing broker to get our offer accepted over everyone else’s even when ours was not the highest offer! This home was a short sale and she worked for months assisting with the short sale process to get us this home at our price. Her brother, George Hanold and father, George Hanold also assisted with our purchase at times as this was at least a 5 month process. Because of them we purchased a home 2 years ago that is now worth over $200,000 more than we paid. We are grateful to Regan and Hanold Properties and would recommend them to anyone. Regan Hanold is extremely thorough, timely, helpful, and intelligent. She really knows this business and pursues every step of a home sale with tenacity and persistence. Regan represented me as a home buyer and as such I felt I had her support. She was above board and fair disclosing all details immediately. I highly recommend working with Regan as a buyer or seller and have full faith in her abilities on any side of a real estate transaction. Regan and George helped my husband and I find our very first home. We were first time buyer and had no idea what to expect. Regan always made herself available for any of our questions and we knew we could count on her to get things done and always with our best interest at the forefront. It's amazing how much fun this process can be with someone you trust. Regan and George will fight for you and will make sure you are happy. 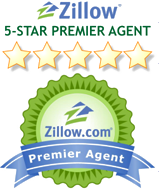 They are very knowledgeable and really put their all into finding your perfect home. George and the team at Hanold Properties provided my wife and I with excellent service on the purchase of our first home. George was professional, courteous, knowledgeable and responsive. When we had any questions or concerns, he almost always answered the phone, or, if he was unable to, he was quick to return a message. On numerous occasions, he went to bat for us with his strong negotiating skills and was usually successful in getting us what we wanted or needed. Regan was also very helpful in getting our search dialed in, and was always prompt in getting us any documents that we needed to review and sign. We definitely plan on using Hanold Properties for our future real estate transactions and would highly recommend that anyone else looking for real estate in Southern California do the same! George and George are the most knowledgeable RAs in Newport. Great team great job on multiple transactions! They knew the market and found what I wanted multiple times so that I would have a choice for the best deal. They were professional with both me and any other realtor or escrow person involved in the deal(s). They were prompt and followed up better than any realtor I have dealt with in 40Years. We worked with Reagan when searching for a new home in the Brea area. She was organized and lined up all the properties we requested to see in one day. We were fortunate to find our future home that day. Reagan was thorough and prompt when presenting the offer. She kept us updated with every step of the process. We were very grateful to have her help when the seller slowed the process. We again called on Reagan to sell my property in Long Beach. She literally sold my property in less than one week, above asking price! The photographer used made my house look amazing. We were completely happy with Reagan’s service and would highly recommend her to others looking to sell or buy. Hanold Properties is a Privately Owned and Operated Real Estate Brokerage that provides the highest level of representation for our clients, whether buying or selling. We are not limited by franchise policy, we specialize in serving and protecting our client's real estate interests. This content last updated on 04/20/2019 07:59 AM.